Sandvine, the Internet traffic analysis group, noted in their recent report (.pdf) that Netflix now represents 32.7% of peak Internet downstream traffic in North America. This figure is up from 29.7% in their May report and 20.6% from their report last fall. Despite all of Netflix's high profile missteps since the spring, no one believes that the video streaming genie is going back into the bottle. If nothing else were driving this trend, there are certainly more iPads and other tablets this fall than last fall and the same is true for Internet-connected game consoles, Blu-Ray players, TVs and Roku boxes. More interesting the Netflix story is some of the detail in the report. What Sandvine calls "Real Time Entertainment" represents 60% of peak downstream traffic -- that includes Netflix, but also includes YouTube, Flash Video and real time gaming. More interesting still is that only 45% of the Real Time Entertainment traffic is going to a computer; 55% is going to a game console, connected TV, tablet or mobile device. Given that a bigger screen requires more data to provide a good looking picture, it isn't mobile devices that are driving this demand for downstream bits. Today Netflix posted an update on its "tech" blog on the average streaming performance for its customers using various ISPs. Verizon and AT&T's fiber-based services are significantly faster than their DSL services. Verizon FiOS was the top performer with an average speed slightly above 2,500 kB/sec. Places 2-7 were held by cable ISPs, with Charter leading the way. Clearwire's mobile broadband service had an average speed materially below that of the poorest performing DSL service (Verizon). It is my understanding that Netflix is looking at this from the basis of the average streaming customer irrespective of the level of internet service which the subscriber gets. At this point most of these providers are offering several levels of broadband service (e.g., Time Warner Cable in NYC has Basic, Standard, Turbo and Wideband with significant price and performance differences between them), so differences between the cable providers might be more reflective of the mix of internet service levels Netflix subscribers are taking than differences in what each ISP is capable of providing. Netflix first posted a similar report in January 2011 where they described the methodology employed to come up with these figures. In one of the more curious developments in over-the-top, HBO Go, HBO's "TV Everywhere" service, which allows HBO subscribers to view many of the service's programs on their phones and tablets will now be available on TV -- specifically, TVs connected to Roku boxes. It is not a surprise that the software could be successfully ported to the Roku box. Roku is the most open off all the over-the-top platforms and most over-the-top services are available on it (e.g., Netflix, Amazon Prime and VOD, MLB.TV). What is surprising is that HBO chose to make it available on Roku. HBO has embraced TV Everywhere, not unwisely, as a means to increase the value of the service to its distributors. 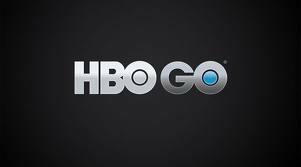 Go is not available at all to those without a subscription to HBO via a cable, satellite or telco multichannel TV distributor. So, if you have to have an HBO "TV subscription" to get Go, why would you need it on the Roku? Isn't it already available on the TV already? Roku is connected to a TV in your home which does not have a cable box. Roku is connected to a TV in your vacation home which has Internet access, but not a multichannel subscription. Roku is connected to a TV in a friend's home which allows you to "share" the subscription. There may be more (keep the Roku in your suitcase, connect it to a TV when you travel -- if you have access to the inputs on the back of a TV in a hotel). What is striking to me about this list is that none of these are particularly attractive developments if you are an incumbent multichannel distributor, you know, HBO's primary/only customers. 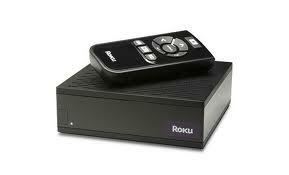 is creating competition for the sale of an additional set-top box in the home. creates the same alternative for your friend. What this suggests is that HBO is planning for the day that it can bypass the distributor and establish a direct retail relationship with its customers, like, say, Netflix. A direct relationship would provide HBO with a few obvious benefits. If HBO retails its service, it has no need to split the retail price with the distributor. If HBO has a direct path to customers, like a broadcaster, it has increased leverage with the distributor in a renewal negotiation. More importantly, to my eye is that with a direct customer relationship HBO can get out of being packaged as an "add on" to an increasingly expensive basic cable package. (While it is theoretically possible for a customer to buy the broadcast level of multichannel television service and HBO and skip the expanded basic tier -- requiring a buy through of expanded basic is illegal -- as a practical matter no distributor makes this option particularly easy to buy.) It is a well known fact that each year when basic cable rates go up, many customers "manage" their cable bills by dropping or cutting back on premium services like HBO. That HBO Go might be the path away from the multichannel distributor is not a new idea. Jeff Bewkes, the CEO of HBO's parent company Time Warner floated this very concept last December. If HBO were primarily interested in supporting distributors' TV Everywhere efforts, it would make it programming available through the distributors' TV Everywhere apps and websites, which, it does not. To me, that looks like a shot across the bow. Update (14 October 2011): Colin Dixon of The Diffusion Group makes a good point about another way that HBO Go on Roku is a shot across the bow of the cable industry. Having your own app is a way of presenting your brand the way that you want it to be seen, instead of being limited by the distributors' hardware limitations and software development. Apparently on second thought, Netflix has abandoned its plan to require its customers to use separate websites for the DVD-by-mail business (the stillborn Qwikster) and the streaming business. In the company's blog post, CEO Reed Hastings noted "for many of our members two websites would make things more difficult, so we are going to keep Netflix as one place to go for streaming and DVDs." The split had been announced less than a month ago (19 September) and was pretty much universally panned, including in my post that day. Now that Netflix appears to have learned not to point the gun at itself, we remain to see if they can figure out where they should be pointing it.